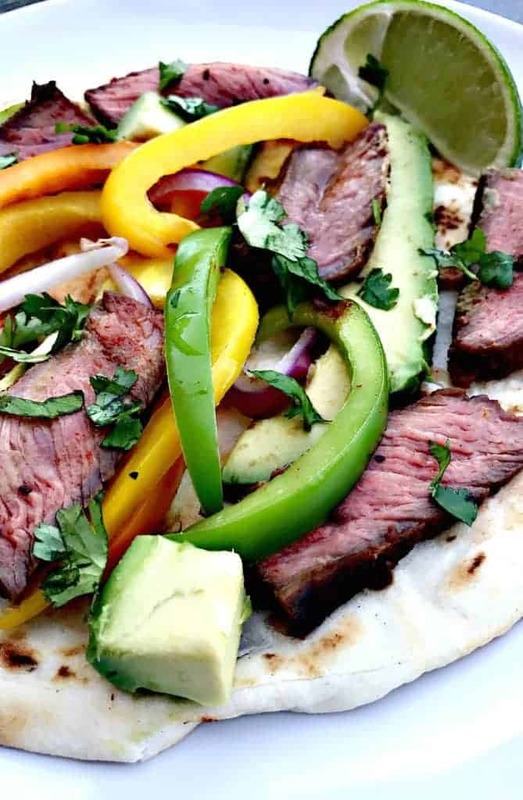 Skinny, flame-grilled steak fajitas make the perfect quick and easy weekend recipe. Summer is on the rise and I am absolutely elated! Summer is my FAVORITE time of year. I love hot weather. The hotter, the better. You will rarely hear me complain it is too hot. I recently returned from a vacation in Phoenix. The temperature averaged around 100 degrees. That was perfectly fine for me! I spent a ton of time at the pool. It was an incredible trip. This is my favorite part of the steak grilling process! Look at how juicy this steak is! Being the foodie I am, I also look forward to summer because I love to grill. I switch it up with my grilling a lot. I grill a lot more than just meat. 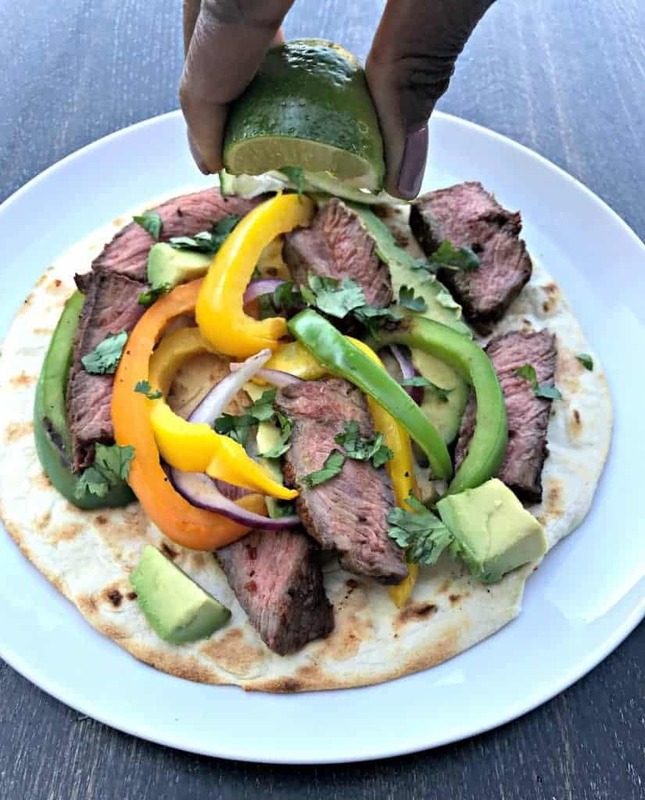 In this recipe, you will find juicy, grilled steak, veggies, and I even tossed the fajita on it for great texture and an amazing grilled taste. I’m often asked for tips on how to stay focused on maintaining a healthy lifestyle during some of the hardest times. From my observation, the “hard times” are usually holidays, birthdays, and of course summertime! During summer we spend a lot more time outdoors. During the winter months it’s easy to stay in, binge watch tv, and really hibernate. When spring and summer arrive, we can not wait to flee our homes for outdoor parties, happy hours, and events. These events create TEMPTATION. For me, I have fully adjusted to and embraced a continuous healthy lifestyle. My lifestyle affords me so much opportunity in terms of what I can eat while maintaining the body type I want. Getting to that level took time and a LOT of education. More importantly, it took willpower! Willpower is exactly what you will need to carry you through the hard times. Pair your willpower with healthy recipes. 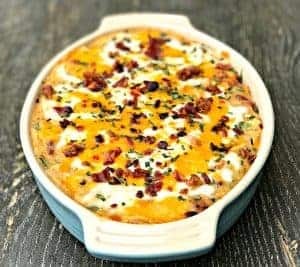 Stay Snatched recipes focus on the ability to reward yourself with tasty dishes that are filled with yummy ingredients that are macro-friendly. 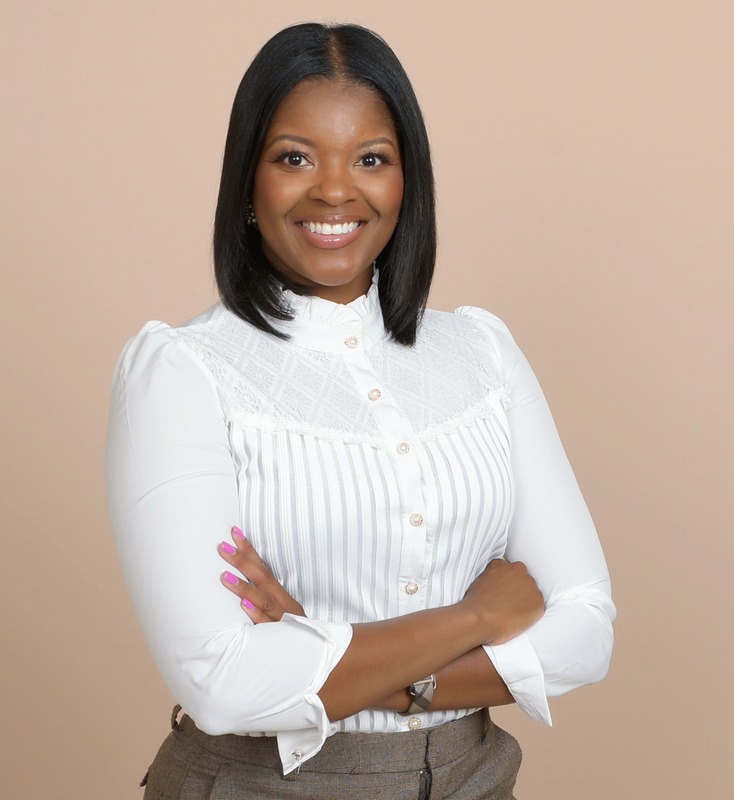 When I first set out on this journey I was extremely frustrated. Most recipes available via google and social media showcased dishes that were bland and were not thrilling. That would leave anyone discouraged. Focus on ways to eat healthy without having to deprive yourself of delicious food. Pour 1/2 tablespoon of soy sauce on each side of the steak (1 tablespoon total). Place in fridge to marinate at least 4-6 hours, preferably overnight. 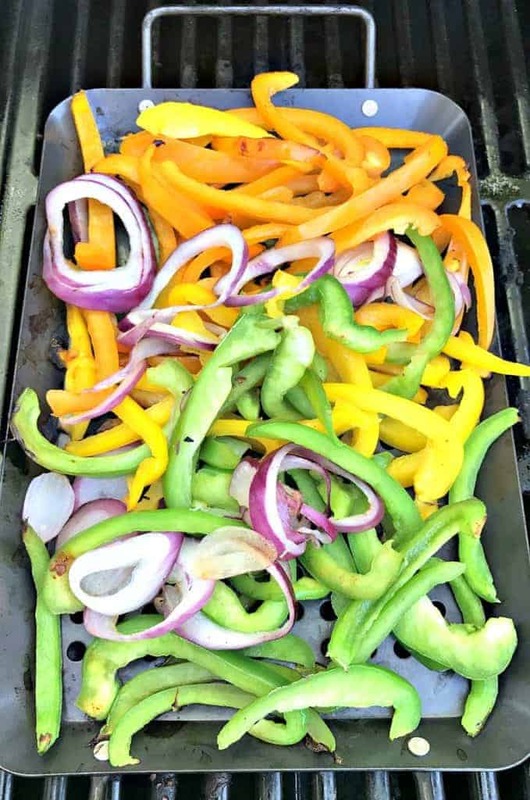 Add the chopped veggies to a grilling tray. Grill for 4-5 minutes. Flip and turn the veggies to the other side. Grill an additional 2-3 minutes until soft. Add the tortillas to the grill. Grill each side for about 1 minute. Melt 1 tablespoon of unsalted butter in the microwave for 30 seconds and stir. 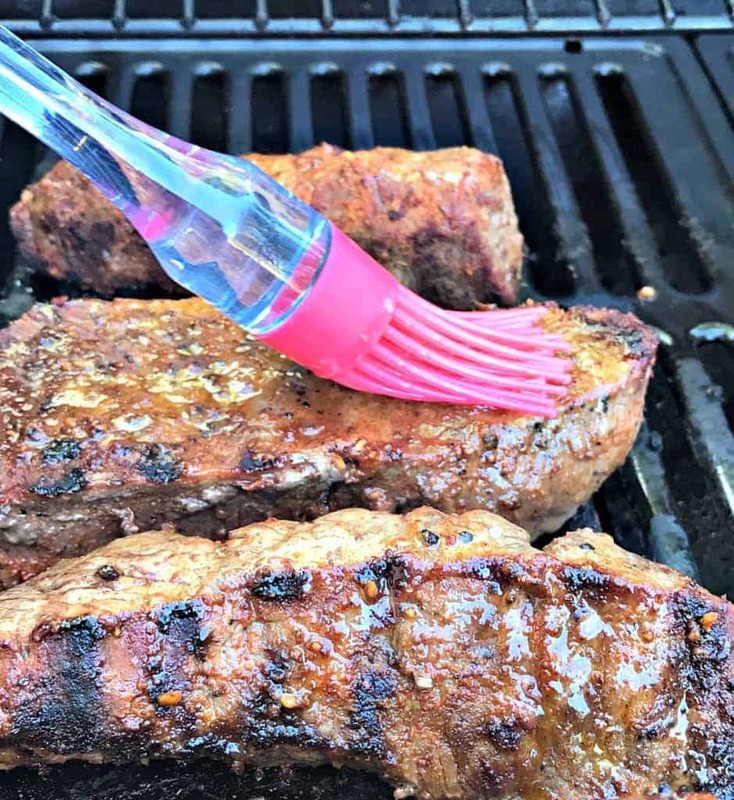 After the steak has reached the desired doneness, using a cooking brush, brush the butter onto both sides of the steak while it’s on the grill. Place the tortilla on a flat surface. Fill with the veggies, avocado, and steak. Serve! Total cook time does not include time to marinate. 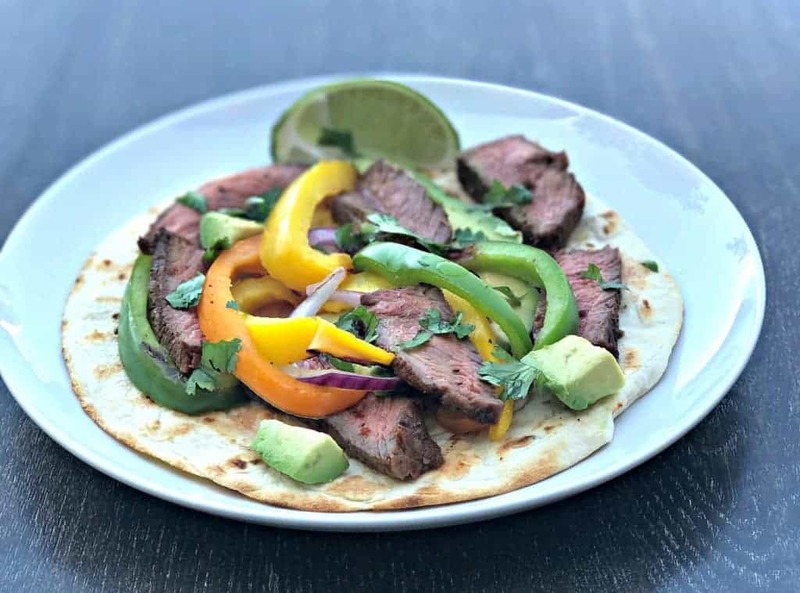 Fajitas are the perfect summer meal, I especially love it when they are grilled, these are perfect. These look perfect for summer! Wish this was dinner tonight! Lindsey @ Lito Supply Co. 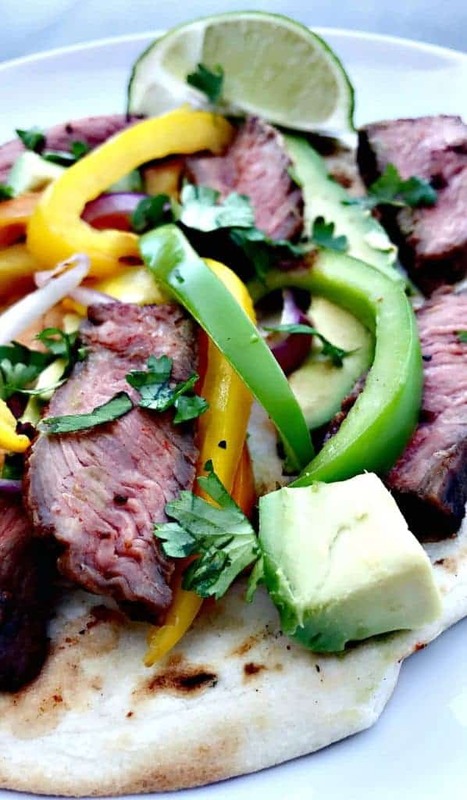 I am so ready for summer and these fajitas are perfect for summer grill outs! These look awesome! Perfect for Memorial Day. 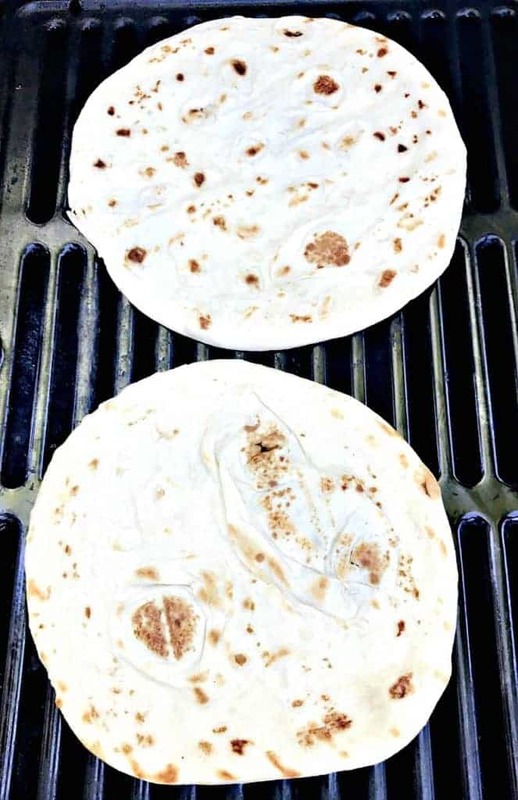 I love that you grilled the tortillas too – makes such a difference in flavor and texture! This looks delicious and that steak looks so tender and delicious! I am definitely going to try this ASAP. Thank you for sharing this. I can’t wait to try this! Luci’s Morsels | fashion. food. frivolity. Love all the different coloured veggies you used. And the pic of brushing the marinade on the steak? YUM! I absolutely adore these! They are so colourful and vibrant and look so satisfying! 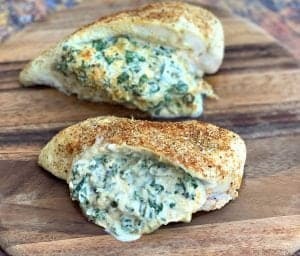 I am definitely firing up my grill for these! 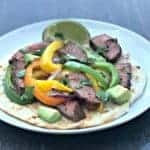 I totally love the look of these fajitas! They seem super nutritious and healthy, my kind of balanced meal 🙂 I will definitely give it a try ASAP! YUM!! The peppers are a nice touch… but really the steak looks so delicious! I love fajitas! My husband got a new grill so I think he needs to make these for me! Oh, my stars that look so good. I love freshly grilled foods in the summer. they are lighter and taste amazing. These are my kind of fajitas. I need to start making them like this when I’m in the mood for Mexican food. I’m interested in trying out your steak marinade recipe! I am not a big steak eater, but darn it that looks great! The macros on the recipe sound perfect for me too! Wait, these look delicious. 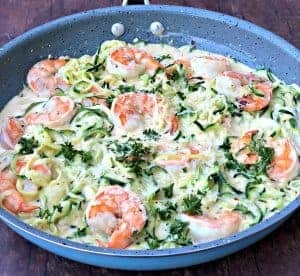 I just may add this to a weekly meal planning. Thanks for sharing and the pictures are awesome. 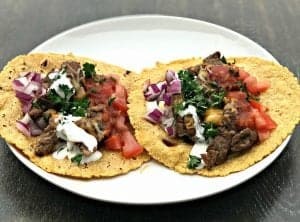 I love Mexican fusion meals and when you add that it’s easy and quick to make and it’s a win!